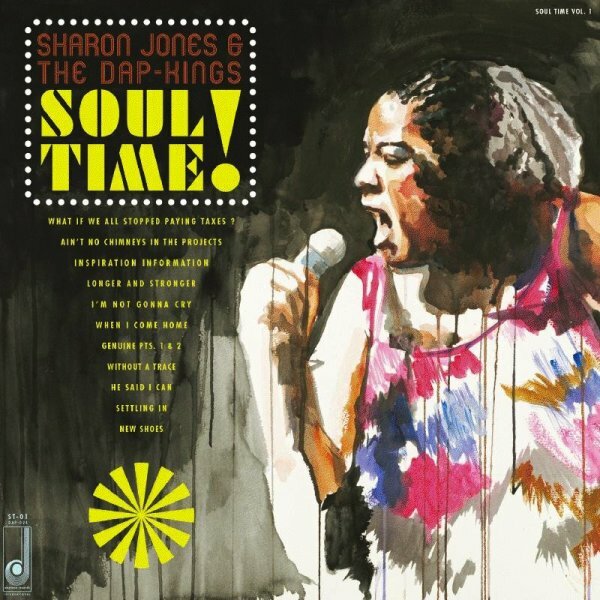 Damn damn damn – maybe the funkiest album ever from Sharon Jones and The Dap Kings! The group have always been great, but there's something here that goes even farther than usual – an especially funky snap on the drums at the bottom, even on more laidback tunes – and a stone classic approach to funky soul, one that's definitely been honed to a "T" through their important work on the road during the previous few years! And Sharon Jones is great – with vocals that are way deeper and much longer-lasting than any rehab outpatient wannabe – sending home these tunes with a quality that may well pass most of her classic female soul inspirations from back in the day. And even though the set brings together some older singles and other odd bits, it's got a rock-solid punch that makes it a very unified album throughout! Titles include "Settling In", "I'm Not Gonna Cry", "When I Come Home", "Ain't No Chimneys In The Projects", "New Shoes", "Without A Trace", and "Inspiration Information". © 1996-2019, Dusty Groove, Inc.